How Do Pelagic Birds Find Fresh Water At Sea? Seabirds drink ocean water, and excrete the excess salt that would otherwise leave them dehydrated. 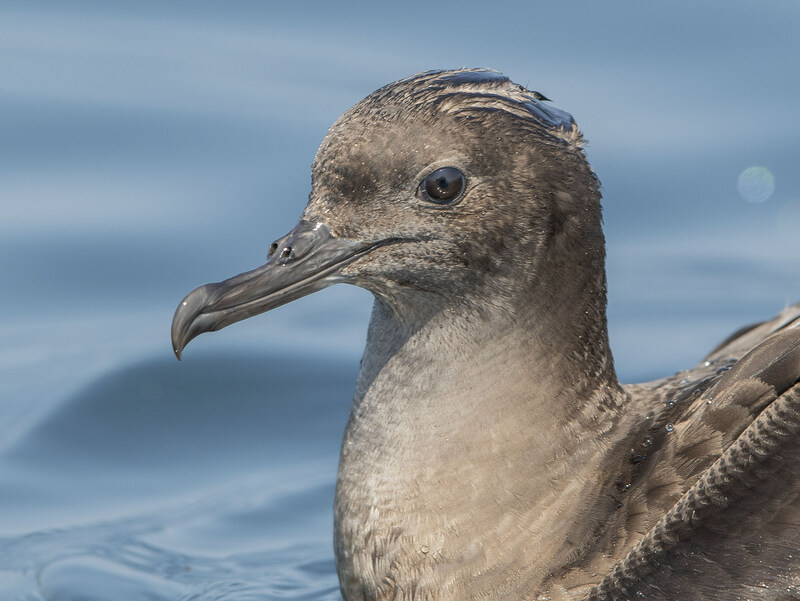 Specialized glands, located above the beak and just under the eyes, filter salt ions from seabirds’ bloodstream. The glands also draw out just enough water to dissolve salt into a highly concentrated saline solution, which runs out through the bird’s nostrils. If you’ve ever seen a gull standing on dry land, with fluid dripping down the tip of its beak… that’s because it’s expelling salt! These glands can atrophy and stop working if not regularly used. Seabirds at zoos and wildlife rehabilitation clinics actually need to be kept in saltwater—if their glands stop pumping, the birds can experience salt poisoning when re-exposed to ocean water. Birds in the family Procellariformes (which includes albatrosses, shearwaters, petrels and storm-petrels) excrete salt through one or two tubes that sit atop their beaks, giving the group the informal name of “tubenoses”. A common misconception among birders is that this tube is an organ used uniquely for excreting salt. In fact, it’s not clear that these birds process salt any more efficiently than any other seabirds, like pelicans or marine ducks. Tubenoses’ beak structure might help them keep saline excretions from blowing into their eyes in high oceanic winds, but that’s probably not its primary function. Recent evidence suggests that these tubes help channel airborne scents, contributing to tubenoses’ ability to sniff out plankton blooms on the open ocean. There’s also evidence that the nasal tubes of albatrosses contain pressure-sensing nerves, helping these birds find and navigate the rising air currents they use to stay aloft. Seabirds’ exquisitely fine-tuned sense of smell serves them poorly in oceans plagued by plastic pollution. It turns out that plastic, especially when covered in marine algae, smells just like the zooplankton seabirds love to eat. While some seabirds that frequent Massachusetts waters are doing well (like Wilson’s Storm-Petrels and Cory’s Shearwaters) others are in serious trouble. And unlike some declining groups, pelagic birds’ absence flies largely under the radar of most land-bound naturalists. Among myriad dangers, entanglement in fishing gear, climate volatility, and invasive species drive seabird declines. Help fight these threats by purchasing American-caught seafood—fishery regulations here favor seabirds more than in much of the world— and by reducing plastic waste. This entry was posted in Birds and Birding and tagged bird biology, bird scent, plastic pollution, seabirds, Shearwaters on August 31, 2018 by William Freedberg.